Google Premier Partners and Bing Ads Certified. Experienced across eCommerce, Hyper-Local/Franchise efforts, and B2B. Using the best tools of the trade and bringing expert guidance to delivering ROI. 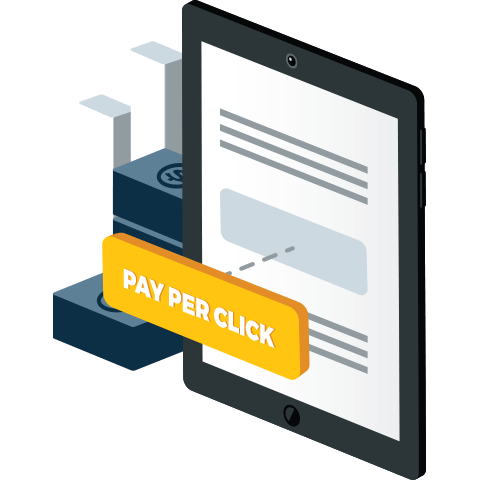 To get the best possible ROI out of your PPC advertising—the “thumbs up,” as it were—you need ongoing expert, attentive construction, management, and optimization of your PPC campaigns. And that’s exactly what you’ll get when you choose monthly PPC management services from Vizion. From day one, our team works with you to develop the best possible paid search effort. Using a variety of data collection and management tools, our PPC experts can help you start a new account, or evaluate and improve an existing one. Banish “caveat emptor” from your vocabulary, and let Vizion manage every aspect of your online advertising efforts. Think of us as an extension of your marketing department, working to improve sales and lead volume month after month, while controlling costs to maximize your hard-earned advertising ROI. Check out Vizion’s top notch reporting platform – Vizion Insights! Reporting that is: Accurate. Meaningful. Actionable. Click here to find out more! Need more ROI from your PPC? Let us put our years of experience to work for your company, to find those nuggets that'll turn your efforts into money-makers!